Sometimes you may need to cut your video file to get rid of unnecessary parts or for video with a lot of content, you just need to reduce the length. 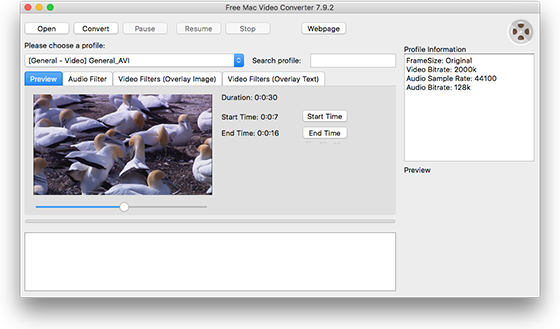 In such cases, Free Mac Video Converter is what you need. It enables you to cut video files into smaller segments with a few clicks. Now, just get what you want from the video without asking help for anybody or buying other complicated video cutting software. In “Preview” tab, drag the slider bar below the video to the point where you want to set as the beginning of the output video, then click on “Start Time”button to make it as the start point and you will see the exact time. In the same way, choose the end point you want. Now, click “Convert” button to add overlay to your video. 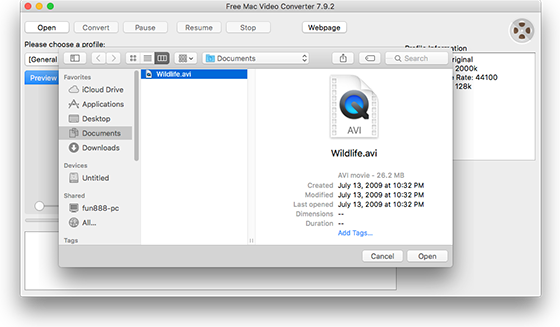 When the process is complete, you can directly find the output video in the source folder with the name of “Conversion”. For those who want to add overlay image/text to their videos, go to check the tutorial: How to Add Image and Text Overlay to Video on Mac? Moreover, in “Audio Filter” tab you can specify the value of volume and echoto suit your needs.